As we have all seen in the media reports. Bears are regular sightings in the area we work, live and play. 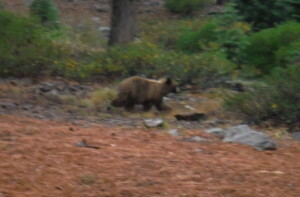 Just today our inspectors came up against a mamma bear and her two cubs lurking around a property they were inspecting. Please remember to always be aware of your surroundings even when you are just enjoying the outdoors around your home. Keep garbage contained to limit bear activity and insure your doors remain closed and latched to help prevent confrontations with our forest neighbors.